With all these in mind, I’d like to think out loud and try to tease out some new ideas for how I might structure my work to stand out and create value in interesting ways. I think these eight generatives — immediacy, personalization, interpretation, authenticity, accessibility, embodiment, patronage, and findability — are useful lenses for thinking about all sorts of projects, and I’ll probably continue to return to them when I need to recharge the strategic batteries. Much of what I’m working on with SSG is writing (like this!) and other sorts of digital content, like web resources and online courses. So: things that are primarily digital in nature, immediately accessible and format-agnostic. I like creating things that live on the Internet, in formats that are easy to use, update, and share. To make this content more immediate and increase the chance that it will prove valuable, I could take the tack of “frequency!” and push myself to churn out updates that are both timely and consistent. But I don’t think that really suits me. One thing I’ve considered is making available some kind of sneak previews or alpha versions of things for people to preview projects as they’re developed. This will only be valuable if I can make the case that what I’m making will help people in some tangible and immediate way — enough so that the benefits of even an incomplete version would outweigh its roughness. So, the challenge: find early adopters; capture their interest. I’m very interested in the idea of personalized learning; I think it’s an essential premise of both learning theory generally, and what my exploratory goals are with SSG, that people can learn most effectively when designing their own path, assembling their own educational resources, combining interesting and experiences that are most relevant to them individually. It will be hard for me to create content that’s truly individually tailored, and the tradeoffs that come with trying to do things at scale always pose a challenge. One thing I could do is try to create a large volume of content, so many people might be able to pick and choose relevant chunks…but of course that risks overgeneralization and stretching myself thin. A “meta” approach would be to focus on developing more general frameworks for learning, then show how people could use that as starting point to develop further on their own path. This is appealing, but risks becoming overly abstract. Finally, I could embrace doing things on a small scale, and combine digital products/material with things that are actually personal — guidance via Skype, local small-group events, convening study groups. The more I work on this stuff, the more appealing it is to spend less time crafting words and websites, and more time cultivating community offline. Along the lines of what I mentioned above, it could be fruitful to offer options for people to pay extra for specific guidance and one-on-one sessions, either in relation to material of my own (e.g. 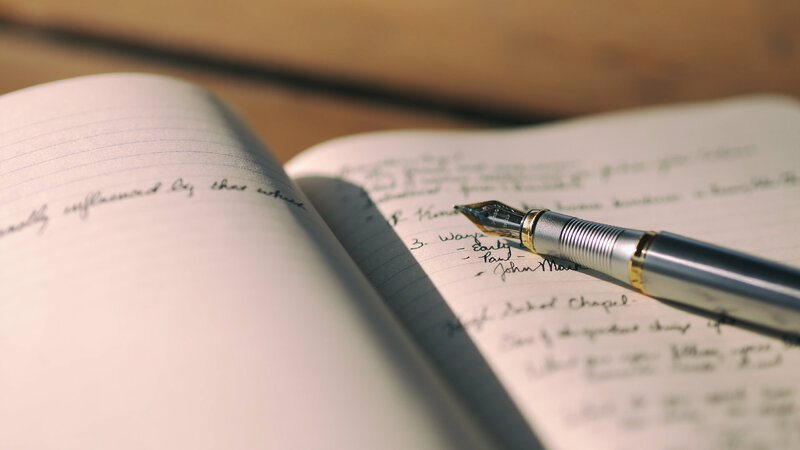 building a creative writing habit) or what I’ve come to think of as a sort of “curriculum concierge” or personal learning guide. I could possibly try extending this into the “consulting” realm, even, by working with startups or other small groups, conducting various sorts of interesting learning-centered workshops. For example I could take a specific topic, or broad thesis/framework useful for learning, and custom-tailor it to a product team at a startup, or a marketing group at a nonprofit, a coworking space, or whatever. I think the authenticity of this project can come from a couple places: first, relationships and collaborations — in the form of interviews, case studies, etc. — with people, projects, and companies that do great work and command respect. I’ll have to start small, prove myself, and work my way up to make that happen, but the right partners could be tremendously helpful by lending their insights and approval to what I’m doing. The other source of authenticity can come from communicating openly and honestly about all aspects of this project, and not being afraid to hold up my own experiences to illustrate in concrete terms the things I’m exploring and sharing. Finally, I’ll have to keep in mind that this is a process that takes time, and be careful not to compromise too much with the quality of everything I make and deliver to people. I touched on this a bit in the first section (“Immediacy”) and I may be somewhat conflating the two, but providing material not only in multiple formats but in a structure that is easy to follow, where people can find what they’re looking for and not feel like they’re wading through filler, will be very important. I also want people to have many ways to enter a relationship with my various projects, from email newsletter signup to small purchase to larger commitment, and feel like I’m delivering great value in every case. So I’ll make myself available and responsive, and do what I can to handle and problems that arise in a prompt and professional manner! It’s interesting to think about how I could take the forms of digital content I’m most familiar with — primarily writing and video — and embody it. Maybe in one sense that means creating print book versions of things that can stand as artifacts in all the glory of their “thingness” — but I’m more inclined to think it means taking my ideas out into the real world where they can be practiced and applied, modified and iterated, in live sessions with real people, real embodied collaboration. I’m not inclined to think of this stuff in terms of “performance”, but I definitely do want to get better at teaching, public speaking, facilitating events and workshops, conducting discussions, and so on. I think there’s a lot of interesting areas for creating things that span the on- and offline worlds, like online courses centered around live discussions rather than Slack channels or Facebook groups. Or, as I’m considering doing with my “Idea Exchange” project, creating collaborative learning resources that manifest both in web repository and intimate event. I’ve long been a fan of Kickstarter, and would love to get a project off the ground. I’m also intrigued by Patreon, though it hasn’t yet proven out its model quite so well, largely because ongoing patronage is a much larger commitment than a one-off contribution (the latter tends to feel much more like buying a product; it’s inherently a transaction of a different nature). I’m not sure which of my projects to try taking this route, but I know it should be something considerably more focused in scope than has been my tendency so far! I’d want people to feel like they’re supporting a project that has a lot of potential, yet is well-defined. And whatever I do here, I want to make a confident argument that anyone supporting the project can trust me to do a phenomenal job and deliver not only an interesting behind-the-scenes look at the creative process, but also an excellent finished product. Related to this, I’d like to try some experiments with small products — things like how to launch and price them, what to offer for free and what to charge for. I also think even something like a free email newsletter, managed the right way, can lead to a feeling of patronage as well. It will be an ongoing challenge to get my work in front of enough people to reach critical mass of a sort that might make these projects sustainable. Along with creating great stuff consistently, I’ll also have to work on sharing it in the right ways. This will take a lot more experimenting, and a lot of persistence. But I do want to turn some combination of products/projects into the beginnings of a viable business model. And in a lot of ways the hardest part can be to keep putting work out there even for the long beginning stages when hardly anyone’s aware it even exists, let alone knocking on your door. This means trying things like: blogging, guest posting, interviews, cross-promotions, and more. Also things like: actually paying attention to basic SEO principles, and probably being more aggressive than my natural tendencies dictate about emailing friends and shouting from the social media rooftops about everything I’m doing. In a lot of ways, the findability of a project accumulates inexorably over long periods of time and rewards persistence, so I’ll just have to keep at it! Thanks much if you’ve read this far; I hope you’ve found some useful ideas scattered amidst these streams of thought. I aim to be transparent in my thinking here, and am very much open to feedback. If this post sparks anything you’d like to share, please do!